Our House has an Anchor: Storm Windows Are Back to Protect Us From...Cold? Several months ago, we explained how we removed our storm windows. Well, they are back on, and not just for hurricane season. We have been told that one of the most serious impediments to heating a boat in the winter is large, uninsulated cabin windows, of which we have six. Apparently, the windows do not only let heat escape from the interior of the boat, but ice can form inside the windows and make a real mess inside. In preparation for our upcoming winter in New York, we installed a weather strip in between the window frame and our storm windows to create a tight seal, much like the heat-shrink film that you can buy at the hardware store to insulate house windows, but our storm windows are of course much thicker. We'll see how this works out come next February, but we are hopeful that our storm-turned-insulation windows will do the trick. 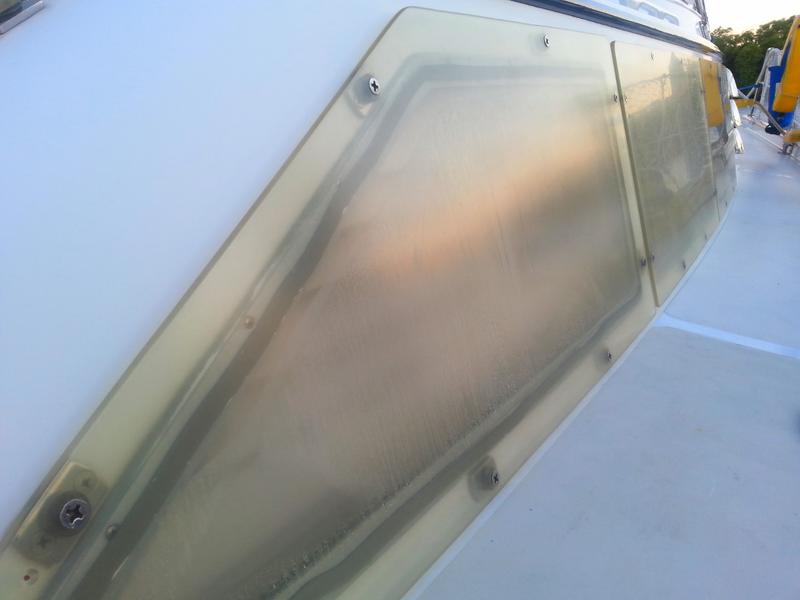 When installing them, we did notice a significant difference in the amount of summer heat entering the boat, as compared the windows that we had not yet covered. So, initial results are promising.